As we head into our Christmas/end of year festivities its worth taking into account the following points as try to maintain reasonable behaviour across any planned events. Everyone should still be able to have fun and these points are likely help you to reduce the chances that inappropriate behaviour or actions that may occur at your work functions. Limit employees’ ability to consume excessive amounts of alcohol. Most of all, make sure your employees are able to relax and celebrate in a safe environment. Michael is a specialist in all things HR. 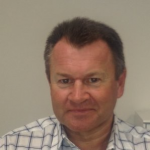 With vast HR experience in the USA and Australia, Michael brings a wealth of knowledge and advice to HR Central. When he's not blogging for HR Central you can find him out for dinner in one of Melbourne's newest restaurants.